Dornier LabTech Systems, a Germany based company is a Pipetting specialist with its roots in traditional engineering facing new challenges in Biotechnology. The aim of any Pipetting robot is to provide reliable results and to achieve an outstanding performance, Dornier with ten years of experience in building robotic equipments has taken care to provide a solution leading to the Pipetting system, the Piro. 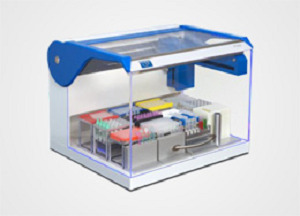 With the development of the Piro, Dornier provides a Pipetting system with a reliable hardware and newly developed software solutions to facilitate the need of any Laboratory.